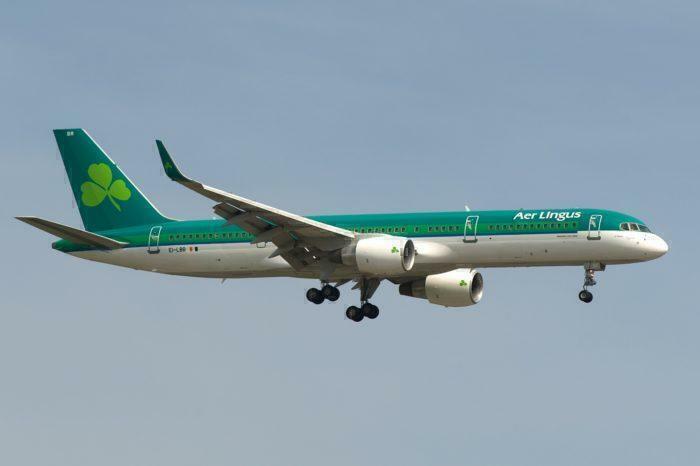 Irish airline Aer Lingus has announced the initial routes for its A321LR aircraft, the first of which are due to be delivered next year. Routes will focus on North America, with Minneapolis/St Paul, Montreal and Hartford announced as definite destinations from its hub in Dublin. Two are brand new routes for Aer Lingus, and one will replace a Boeing 757 service, probably to allow them to return the Boeing to the leasing company. The airline are expecting eight A321’s to be delivered altogether, with four planned for delivery in the first quarter of 2019. They have indicated they are poised to purchase a further four, as the expansion into new destinations takes shape. We speculated before that some of the 11 US destinations currently served by Aer Lingus would be taken over by the A321LR, and it certainly looks like that’s what will happen. The carrier has announced that it’s routes will begin a service between Dublin and Minneapolis / St Paul as well as Montreal from August 2019. Both are new destinations for the carrier.The A321LR will also take over the current service between Hartford and Dublin from the current Boeing 757 in July. 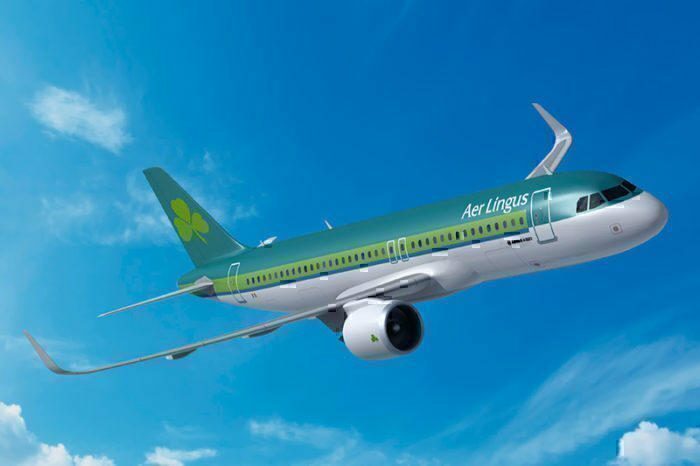 Bill Byrne, director of global sales and vice-president of North America for Aer Lingus has said that they expect the first aircraft to arrive ‘well before July’, and that the long term plans are for the carrier to operate 12 A321LRs. The IAG owned airline is keenly expanding its operations, and with the help of their new fleet of A321LRs, could start adding many more routes to their service. Within the range of the A321LR from Dublin are most of the West Coast of the US, as well as destinations in the Caribbean and a great deal of the African continent. What can we expect from the A321? The new business class product will feature lie flat seats, of the same model seen on their current B757s. These have a lie flat length of two metres, and a width of 22 inches, making them a comfortable option for even the largest of travellers. They are also promising Wi-Fi on board and an improved beverage offering for economy class travellers too. Economy class seats will have a comfortable 31 inch pitch. Aer Lingus is currently undergoing a kind of transformation. 2019 will see the airline being rebranded, with a new livery being introduced across the fleet. It’s likely that at least some of the A321LRs will be sporting the new livery when they arrive. The first A321LR was delivered from Airbus to Arkia Israel Airlines in November, with Vietnam Airlines receiving one shortly after. Further orders are in place from TAP Portugal, Norwegian and JetBlue, among others. 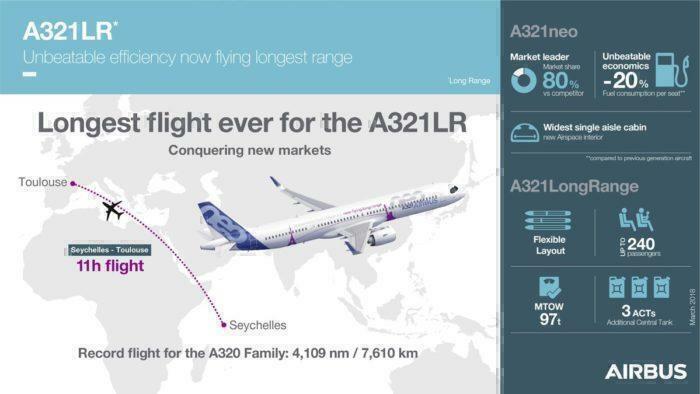 The A321LR has proven popular among LCCs as a ‘New Midsize Aircraft’ (NMA), capable of carrying 200 or more passengers on routes of around 4,000nm. This makes it a popular choice for transatlantic routes, and for flying into destinations where a larger aircraft is not practical.